At Off Grid Trailers, we’ve designed our teardrop trailers for traversing the backwoods, venturing off the beaten path and outside campgrounds to truly commune with and experience the wild. But, we know that buying an Off Grid Trailer is an investment and for some, a distant dream. Because we want to connect you with nature, to make that dream a reality for you now, we’ve teamed up with financial partners that specialize in trailer financing. Between Go RV + Marine’s in-house finance company, Go Finance, and their finance partners, we can offer the best financing rates and options for an Off Grid Trailer that will get you into the wild quickly. 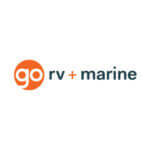 While they’re partnered with financial institutions, Go Finance allows Go RV + Marine to tailor financial solutions without relying on the bank. Their simple financing process includes payment estimates, loan calculators, and solutions and programs for credit challenges. Rock Solid Funding isn’t just a financing company, it’s a financing company that specializes in trailer and recreational equipment loans. Which means they offer low rates, flexible terms, quick turn-arounds, and $0 to low down payment options. Plus, they’re experienced at working with challenged credit and low credit scores. Offering safe and efficient financing options for your Off Grid Trailer, Rock Solid Funding guides you through the process with ease and education, ensuring that you not only pick up your trailer right away, but that your financing plan is customized to your needs.